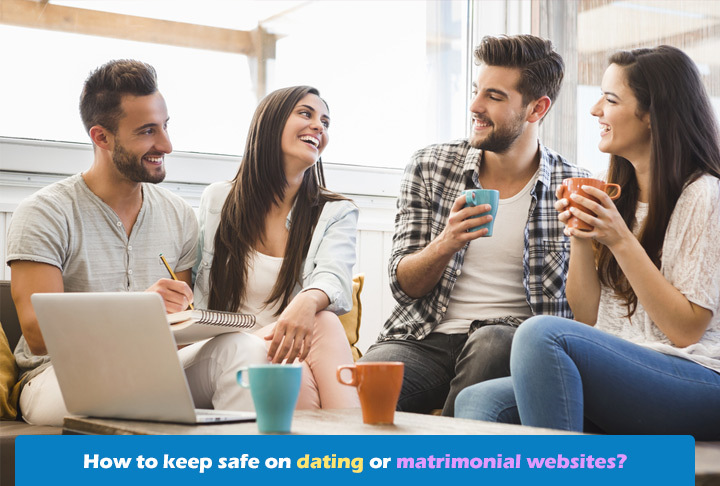 How to keep safe on dating or matrimonial websites? Verified profiles: It is important to ensure that you only chat with or correspond with those people that have a confirmed phone number listed online. Recent photograph: It is essential to check if it is a recent photograph as you want to connect with someone who is real. Ask for additional photographs or video chat to get better details. Refuse money: If you get to chat and over time, the person asks you for money to buy a ticket and meet you, refuse immediately and do not chat any further. Any person looking for a meaningful relationship will not stoop so low. First date: Even though isolated spots can be the perfect place for a romantic date, it is best to find a public place that is well-lit. A mall or public library can be a good choice. Only when you are comfortable and know more about each other should you take the relationship to the next level. Is the profile real? Sometimes, the profile is too good to believe and it might be true. There are people that add qualifications or change the status to have fun. If some profile seems false, report it to the administrator or just move on. However, you need to stay alert and not fall for false promises of marriages online. Ensure that you know the person well and have met him or her, before you commit. « Why photos are important on matrimonial websites?